The trading price for NEXT plc with ticker code: LON:NXT has stepped up 1.06% or 62 points throughout today’s trading session so far. Investors have so far held a positive outlook throughout the trading session. The periods high has reached 5984 meanwhile the session low reached 5850. The total volume traded so far comes to 168,583 whilst the average number of shares exchanged is 880,515. The stock 52 week high is 6211 equating to 349 points different to the previous business close and a 52 week low sitting at 3565 is a variance of 2297 points. The current market cap is £8,330.48m at the time of this report. The stock is traded in GBX. Mcap is measured in GBP. This article was written with the last trade for NEXT plc being recorded at Thursday, June 21, 2018 at 12:14:24 PM GMT with the stock price trading at 5924 GBX. 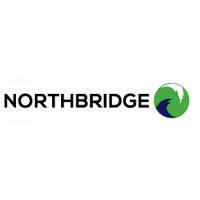 The stock price for Northbridge Industrial Services Plc EPIC code: LON:NBI has increased 3.79% or 4.93 points during the course of today’s session so far. Buyers have so far held a positive outlook during the trading session. The high for the period has peaked at 134.93 dropping as low as 132. The amount of shares exchanged has so far reached 1,889 with the daily average at 20,897. The stock 52 week high is 134.93 amounting to 4.93 points difference from the previous days close and the 52 week low at 92 a difference of some 38 points. Market capitalisation for the company is £40.77m at the time of this report. The currency for this stock is GBX. Market cap is measured in GBP. This article was written with the last trade for Northbridge Industrial Services Plc being recorded at Thursday, June 21, 2018 at 11:49:11 AM GMT with the stock price trading at 134.93 GBX. Stock in Shire PLC company symbol: LON:SHP has climbed 1.7% or 68 points during today’s session so far. Market buyers have remained positive throughout the session. The high for the period has reached 4128 dropping as low as 4073.5. The total volume of shares exchanged so far has reached 1,324,121 whilst the daily average number of shares exchanged is just 3,172,041. The 52 week high for the shares is 4640.5 some 630.5 points different to the previous business close and a 52 week low sitting at 2940.5 making a difference of 1069.5 points. Shire PLC now has a 20 simple moving average of 4068.34 and now its 50 day moving average now at 4030.41. The market cap now stands at £37,292.30m at the time of this report. The share price is in Great British pence. Mcap is measured in GBP. This article was written with the last trade for Shire PLC being recorded at Thursday, June 21, 2018 at 12:14:36 PM GMT with the stock price trading at 4078 GBX. Shares of SKY PLC with ticker code: LON:SKY has climbed 1.38% or 19 points during the course of today’s session so far. Market buyers seem confident during this period. The periods high has already touched 1401 and a low of 1384.5. The amount of shares exchanged has so far reached 2,998,256 with the daily average traded share volume around 5,056,111. The 52 week high is 1402 amounting to 22 points difference from the previous days close and putting the 52 week low at 11.4 which is a difference of 1368.6 points. The current market capitalisation is £24,049.05m at the time of this report. Share price is traded in GBX. Mcap is measured in GBP. This article was written with the last trade for SKY PLC being recorded at Thursday, June 21, 2018 at 12:14:36 PM GMT with the stock price trading at 1399 GBX. Click NBI NXT SHP SKY for the full archive.